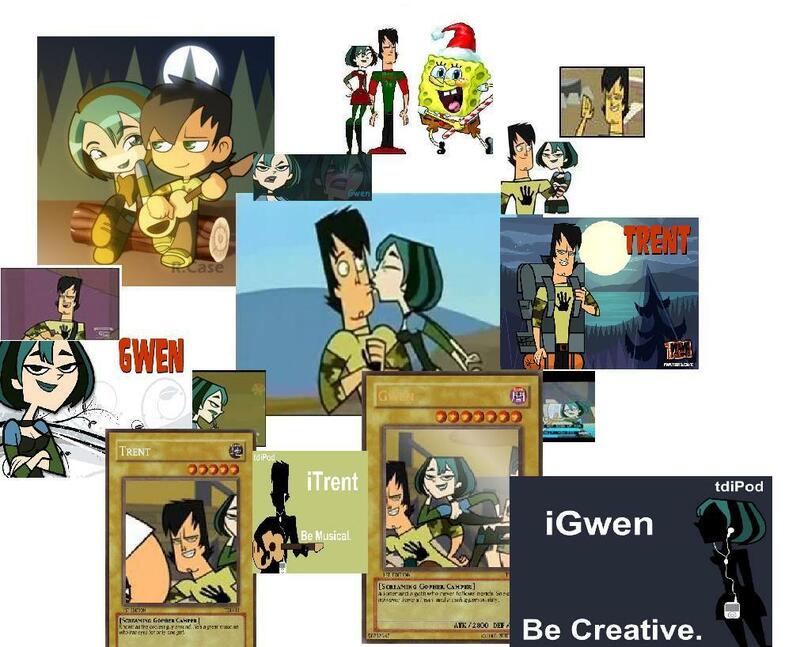 Gwen + Trent. . HD Wallpaper and background images in the Total Drama Island club tagged: tdi island total drama gwen trent couple. This Total Drama Island photo contains kühlschrank, elektrischer kühlschrank, kühlschrank, gefrierfach, eisfach, kühlbox, anime, comic, manga, cartoon, comic buch, karikatur, and comics.